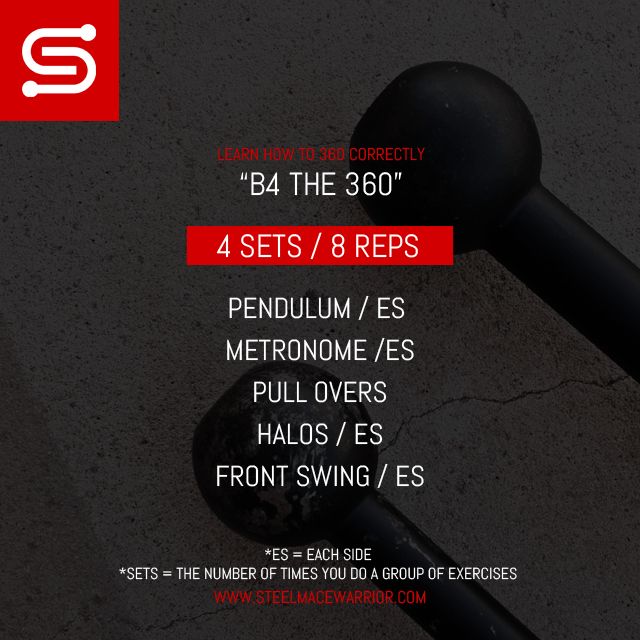 Here is another great workout for you and this time i am going into the 360. I see so many people struggle with the 360 when they first begin and honestly i don’t recommend you begin with the 360 right away if you are just entering the world of Steel Mace (just for safety). Work your way up to the move, trust me I’ve been there and even after an entire year i am still trying to perfect the move with full focus, zen and without injuries. I compiled a nice workout you can do on a daily basis to work your way up to the 360 and for those that are already swinging it this workout will most likely improve it! Resources to go along with the workout: Coming Soon. Want to get my Steel Mace Workouts delivered straight to your email for FREE? Subscribe below.